Typos abound: This is more free associative as I attempt to sort my mind out. Kristine Katherine Rusch writes process blogs. They help her figure out what she is doing in her writing career. I’ve decided to give it a shot because I my thoughts keep jumbling and repeating. I don’t want to work on. I don’t know what to write. And it makes me anxious. I’m paralyzed with indecision. And I know it’s illogical. My writing came to a freeze in 2016, and all I do is think about all the stories I could have written while worrying about what to write. I’m anxious about writing things I love but are not commercial. But if I just wrote those stories they would be out there. I’d be building a list. I’d have something to promote to at least see what would happen. In other words, I need to give my work a chance and not just adopt reductive cultural understandings. So I have clarity. Then I lose it. Then I regain it. Then I lose it. But mostly, I accept to focus on what excites me. Now comes the core of what has driven me to process blog. There are three dominate works that take up my attention. Then there is Witch Doctor Ozymandias. It’s kind of the spiritual successor to Recumon in that it’s a paranormal short story series that is more literary than commercial in its approach. Finally there is Vile Bodies, a paranormal mystery/romance series of novels. It depends on the viewpoint. VIEWPOINT 1: I want to build a list of ten books with feedback loops for promoting. VIEWPOINT 2: Characters. I want to tell stories about complex characters that I love. Like Shondaland levels of juiciness and narcissism in charismatic blends. VIEWPOINT 3: Stories. I want to tell stories with wild worlds and just unleash creatively. VIEWPOINT 4: Style. I want to tell stories with more intricate levels of character prose. Different stories have different strengths. For the life of me, I could never combine all of those viewpoints into one story because each one calls for different characters and stylistic approaches. Some require enhancing plot, some require diffusing plot. Some require more meditative prose, some more action. With viewpoint 1 (V1), I focus on what kinds of book I would want to write 10 of. I immediately become excited about the idea of writing a couple more Recumon books, then writing some Witch Doctor Ozymandias books, then doing some more series in that literary paranormal episodic style. I love the Recumon artist and am excited about working with her on more ideas. But I could write 10 stories like Vile Bodies too… I guess. With V2, I would work on Vile Bodies and Witch Doctor Ozymandias. 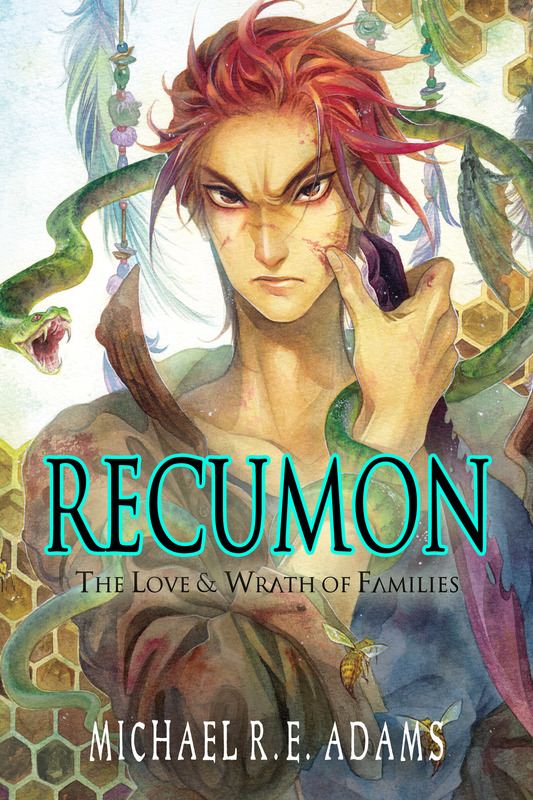 Honestly, I’m kinda over Recumon’s characters. V3: Witch Doctor Ozymandias wins I believe. I want to invent fantasy dimensions and intricate magic processes. V4: Recumon and maybe Vile Bodies. When it comes to sitting at the computer and writing, prose matters. Prose is the actual sentence to sentence writing which is generated in actual physical action of writing. So I want to do research for Witch Doctor Ozymandias. Normally, I do free writing, but WDO requires planning and research on magic. Or is that just an excuse? No. But I could just absorb myself in that research. I feel like I have to write and that’s a problem. It would be okay to just take the time to research and work on OZD. I could research OZD and write Recumon stories. No. I need to consider how I feel really. Underneath the worry and anxiety, what stories do I really want to tell? I’m sure about OZD but not Recumon or even Vile Bodies. VB poses great character ideas but conventional plotting is not inspiring. Still the kind of character work I desire to do would require a more conventional approach… so odd. Research OZD and prepare to write. Researching OZD excites me more than writing Recumon. But that’s easy. Planning is fun. Knowing me, once it comes time to write I’ll freeze. Can I say that writing OZD is more exciting than writing Recumon? Sure. Because the novelty of something new creates inspirations. But once it wears off then what? Novels are consuming. VB would be a much lengthier project which means putting off OZD for a while. It also means starting over in a way. VB would not promote Recumon or OZD. They are not very similar. I want to write 10 books because that’s the kind of educated arbitrary number I came up with before promoting to bookstores. I technically have 3 Juliette Harbinger books that would be in the same vein of VB, so that would actually make the VB book the 4th. But again, this logistical approach is not very healthy. But again, I’m excited about the idea of growing my catalog. Viewpoints. Perspective. Focusing on building a career vs. just focusing on what might be fun to create in the moment. I can’t maintain one micro or macro view long enough. Multitasking remained a possibility. Write VB novels then take breaks to work on OZD stories. Or write Recumon stories and take breaks to write OZD stories. Or just write on one of those three each day based on how I feel. That requires a complete adaptation in a new way of thinking/writing. I’m used to being pretty unilateral with my attention. I become consumed in one idea. Keep track of three stories and three processes would be a major shift but it would solve the issue. If on Monday I wanted to explore VB characters, I would. And then if on Tuesday I wanted to create a dimension, I could work on OZD. TV doesn’t help. If I watch Penny Dreadful I want to work on VB. And if I watch Monogatari I want to work on Recumon. Media inspires ideas like crazy but it doesn’t inspire actual writing. In the end, this process blog has not helped much. Setting goals does not help because they shift depending on my perspective. First, I’ll have to learn to accept my indecision. Embrace it. That’s the only way I can feel my way through it. I should also work on getting more sleep. My energy level plays tricks on my mind. It’s difficult imagining writing a novel when you are tired. Also, I should meditate more to get in deeper touch with my calling. I know what I want to write but I need to go on the journey of discovering the vehicle for my writing. Essentially, I need to get to know myself better. I need to understand more what makes my spirit alight. This is not really about exploring what to write; this is about exploring myself, getting in touch with myself, discovering my passion in a more specific way. So actually, I need to focus on myself. Not “What do I write?” But “What do I want to do?” Right now, I don’t want to write at all. I want to take a nap. It’s not about the writing, it’s about expressing myself. And I have to know who I am so I know what to express. And the past can’t help with that. Thinking can’t help with that. Knowing yourself is a sense, it’s a being, not an intellectual knowing. So I’ll meditate. I’ll focus on the experiences (media and otherwise) that help me go deeper into myself. I’ll embrace this as a journey, love it as a chance to love myself, and feel free in my indecision and paralysis.